L. Simon and J. M. Goodman J. Org. Chem. 2007, 72, 9656-9662. 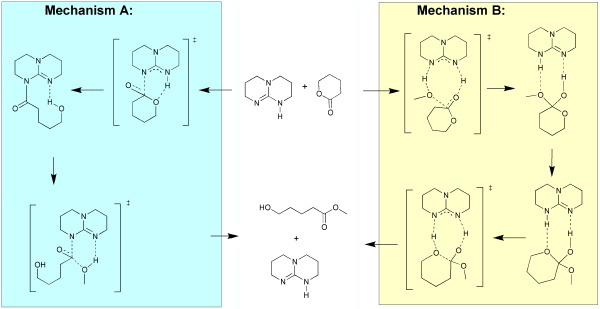 We show that the proton-transfer process, Mechanism B (right), accounts for all the experimental data associated with this polymerisation process including the surprising lack of reactivity of four-membered ring lactones.